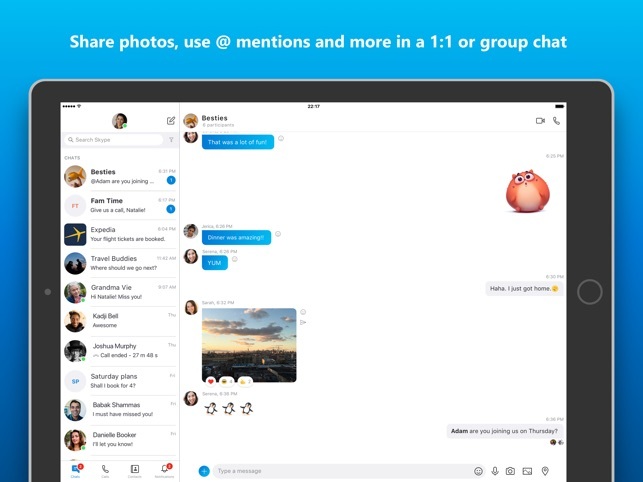 The Skype you know and love has an all-new design, optimized to help you stay connected with the people you care about most. 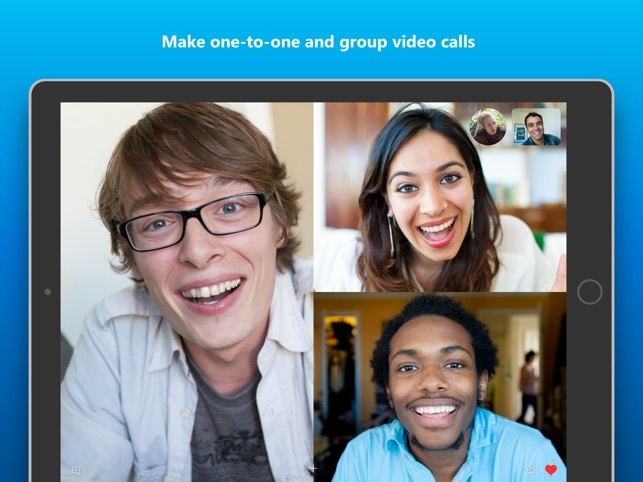 • Communicate easily with the people in your life through free Skype-to-Skype video/audio calls, personalized messaging, and low-rate calling to mobiles and landlines around the world. • Message: send photos, videos, voice messages, emoticons, Mojis, react to messages, and more. 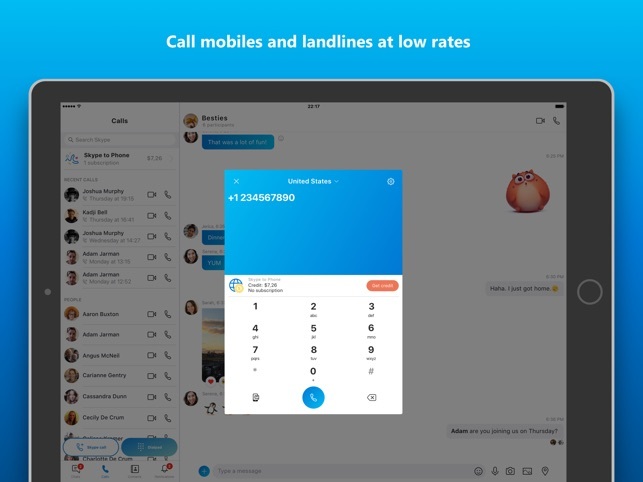 Note: Skype-to-Skype calls and messages are always free when used on an unlimited data plan or WiFi connection. Otherwise, operator data charges may apply. - Effortlessly set the mood: Quickly choose a list of mood messages that match your sentiment and change out the emoticon to match. Good app, as long as constant updates don’t destroy something ! Because of that fact, I was forced to continue with Skype. It was easier to ask somebody else to do some fixes for them, updates on their end etc. than ask them to purchase a smart phone and learn other apps. So, overall - 5 stars, only because it was the first app that allowed free international calls. 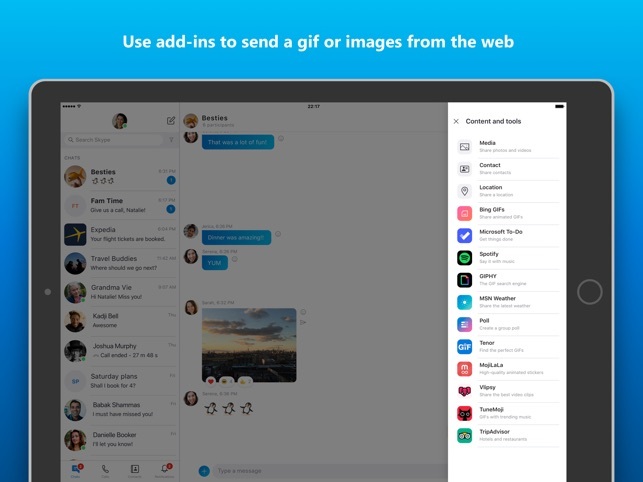 So guys : keep Skype running, and please don’t destroy the app with some idiotic updates, OK ?